The United States will offer "condolence payments" for those killed or injured in the U.S. airstrike that mistakenly hit a Doctors Without Borders hospital in Kunduz, Afghanistan, on October 3. Defense Department spokesman Peter Cook said Saturday that the amount of the payments had not been determined. The payments will go to "civilian noncombatants injured and the families of civilian noncombatants killed as a result of U.S. military operations," he said. The medical group, known by its French acronym MSF, said the airstrike killed 10 patients and 12 MSF staff members. The charity said Thursday that nine patients and 24 staff members were still missing. 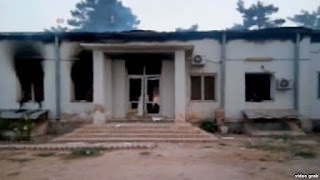 MSF ended its Kunduz operations after the aerial bombardment and demanded an independent investigation into the attack under the Geneva Conventions. The group said probes under way by the U.S., Afghanistan and NATO were insufficient, and it suggested that the attack amounted to a war crime. Obama also called Afghan President Ashraf Ghani to express his condolences for the loss of innocent lives in the incident, the spokesman said, and to commend Afghan forces for their bravery in the fight to control the northern Afghan city in clashes with Taliban insurgents. 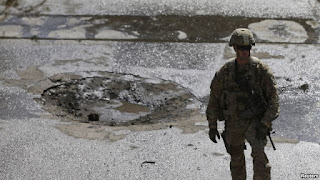 The top U.S. commander in Afghanistan, Army General John Campbell, said the United States was taking the blame for carrying out the raid after Afghan forces requested it. But the question remains whether the U.S. should have agreed to the attack. When Obama ended American ground combat operations in Afghanistan last year, he said that the residual force of 9,800 U.S. troops remaining there should focus on training and advising Afghan troops. He limited the use of force to three circumstances: the defense of U.S. and allied troops, support for missions targeting remnants of al-Qaida insurgents in Afghanistan, and assistance to Afghan troops facing mass casualties in extreme situations. He said he had ordered American forces in Afghanistan to be retrained on their use of force. Afghan forces have been trying for several days to regain full control of Kunduz after Taliban insurgents briefly seized it last week. 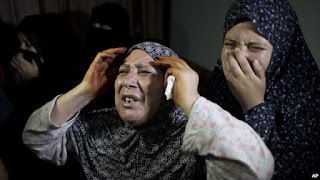 Israel carried out an airstrike early Sunday in the Gaza Strip that killed a pregnant Palestinian woman and her young daughter. The Israeli military said the strike was done in response to rocket attacks from Gaza and targeted two Hamas weapons manufacturing facilities. It reported Saturday that a rocket was intercepted over Hof Ashkelon, just north of Gaza, by Israel's Iron Dome missile defense system. Medics in Gaza said the woman and child died when the building they were in collapsed from the strike. Several other people were injured. Also Sunday, the military said a Palestinian woman detonated a bomb inside a car at a checkpoint in the West Bank, wounding one police officer. The violence followed yet more stabbing attacks in the Old City area of East Jerusalem on Saturday. In the first attack, a 16-year-old stabbed two Israelis before being shot dead by police. Later, a 19-year-old stabbed two police officers before also being shot dead. The wave of attacks in East Jerusalem has taken place around a holy site revered by Muslims as the al-Aqsa mosque and by Jews as the Temple Mount. Polls opened in Guinea on Sunday, but the country’s opposition candidates claim there is little chance of the vote being free and fair. 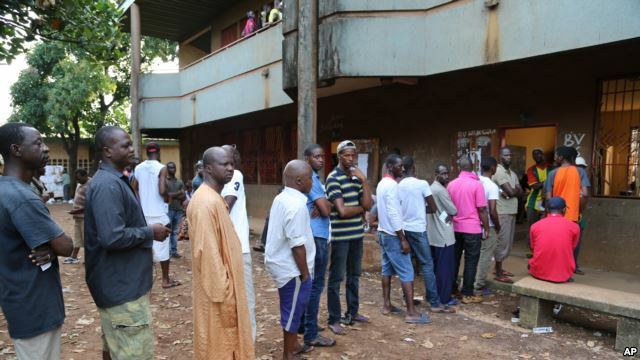 Voters lined up across Guinea’s ocean-side capital early Sunday. President Alpha Conde is running for a second term against seven opposition candidates. While looting and clashes between rival political supporters occurred earlier in the week in Guinea, there was no sign of trouble in Conakry as polls opened. But Guinea’s opposition was already decrying the election. In an interview Saturday evening, leading opposition candidate Cellou Dalein Diallo told VOA he had no confidence in the electoral commission. He said he and the six other opposition challengers would reject the polls if they believed they were rigged. Diallo says if the results announced by the electoral commission or the supreme court do not reflect the voters’ will, then he will not accept them. In Conakry’s Hafia Minierre II neighborhood, voters waited calmly at roadside polling stations. Presiding officer Djenabou Sedec said everything was going smoothly. Sedec says she was the first to vote this morning, to give an example to all the other voters. Now, everyone is voting. Authorities in Chad say at least five female suicide bombers attacked two sites near the Nigerian border, killing at least 33 locals and Nigerian refugees. Police immediately linked the attacks in the town of Baga Sola to Boko Haram Islamists. Police and hospital officials said at least 50 others were wounded in and near the town, located on the shores of Lake Chad. General Banyaman Cossingar said one of the blasts targeted a local market, while two others ripped through a refugee camp on the outskirts of the town. Last week, authorities said Boko Haram fighters clashed with Chadian soldiers near Lake Chad. A military source said 11 soldiers and 17 militants were killed. 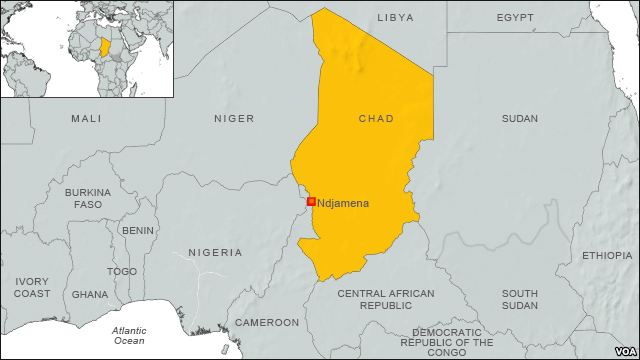 Chad is a leading contributor to a regional task force set up to fight Boko Haram, whose attacks have spread in recent years from its birthplace in nearby northeastern Nigeria to Chad, Cameroon and Niger. The militant group has been fighting to establish a strict Islamic state in northern Nigeria since 2009. The rights group Amnesty International, in a report last month, said Boko Haram had killed at least 1,600 civilians since June, bringing the death toll to 3,500 civilians so far this year. A former investigator with the Republican-led congressional committee examining the attacks in Benghazi, Libya, in 2012 says he was fired after resisting pressure to focus his investigative work on Hillary Clinton and the State Department. Air Force Reserve Major Bradley Podliska, who describes himself as a conservative Republican, told The New York Times and CNN that in March the panel abandoned its broader investigation of the events that led up to the deaths in Benghazi of four Americans, including Ambassador J. Christopher Stevens. 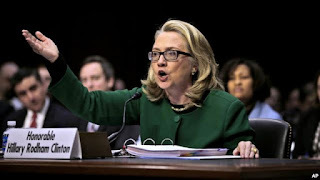 Podliska said the committee turned all of its attention to Clinton and the State Department after it was revealed that she used a private email server while she was secretary of state. The move de-emphasized other agencies involved with the attacks on the American consulate on September 11, 2012. Podliska said he planned to file a lawsuit for wrongful termination soon that would also make the case that he was fired in part because he participated in required National Guard exercises. The committee on Saturday forcefully denied the allegations. It said in a statement that Podliska never raised such concerns while with the panel, and that he himself had inappropriately used committee resources to create a PowerPoint “hit piece” on members of the Obama administration, including then-Secretary of State Clinton. House Majority Leader Kevin McCarthy recently linked the committee's work to Clinton's sliding poll numbers and drew a rebuke from Republicans and Democrats. The California Republican stepped back from those remarks, but they damaged his effort to become the next House speaker and he dropped out of the race to succeed outgoing Speaker John Boehner. 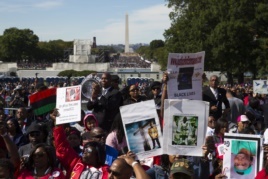 Thousands of people waving flags, carrying signs and listening to speeches and songs gathered Saturday on the National Mall in Washington for the 20th anniversary of the Reverend Louis Farrakhan's Million Man March. People cheer during a rally to mark the 20th anniversary of the Million Man March in Washington, Oct. 10, 2015. 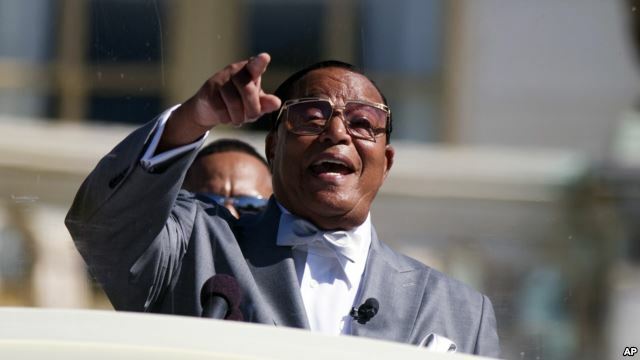 Farrakhan, leader of the Nation of Islam, an Islamic religious movement, said that black men and women should forsake foul language and violence against each other. He also spoke against abortion, saying that “it is your body, you can do what you want with it,” but that it would be tragic if a future scientist or leader were aborted. Farrakhan spearheaded the original march on October 16, 1995, which brought hundreds of thousands to Washington to pledge to improve their lives, their families and their communities. Saturday's rally repeated that theme but incorporated calls for justice in response to a number of shootings of black American men. Attention has been focused on the relationship between African-American men and law enforcement since the fatal shootings of two blacks — Trayvon Martin, 17, who was shot by a neighborhood watch volunteer in 2012 in Florida, and Michael Brown, 18, who was shot during an altercation with a police officer in 2014 in Missouri. Since then, the deaths of other unarmed black males at the hands of law enforcement have inspired protests under the "Black Lives Matter'' moniker around the country. Women, whites and other minorities were not invited to the original march. To mark the anniversary Saturday, Farrakhan called for a mass gathering, this time including other marginalized groups, Native Americans and Hispanics among them. The 1995 event was the fourth-largest demonstration in Washington history, and the largest predominantly black gathering. President Barack Obama, who attended the first Million Man March, was in California on Saturday.